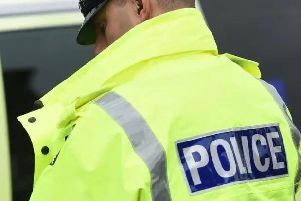 Police are appealing for information after two teenagers were verbally and physically assaulted in Wellesbourne. At around 6pm on Wednesday January 16, police received reports that a teenage girl and a teenage woman were verbally abused and physically assaulted by a man and a girl. The incident occurred in Ettington Road, Wellesbourne, near to the junction with Loxley Close. Officers would like anyone with information about the incident to come forward. PC Sid Hammond said: "We are appealing to anyone who may have information, or who may have been in the area at the time to come forward and assist with our investigation. "At this time we believe the victims and suspects were known to each other and I would like to reassure the local community that we are doing all we can to find the people responsible." Anyone with information should call police on 101 quoting incident 335 of 16 January 2019.